During my last reader survey, a lot of people asked me how I store my jewelry making supplies. In today’s video, I share how I store my supplies. The most important thing to think about when you are deciding how to store your supplies is how will you be using them. Store them in a way that makes things easy for you. Ready to get started making wire wrapped jewelry? 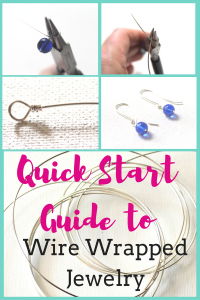 Get my FREE Quick Start Guide to Wire Wrapped Jewelry. You’ll also join my newsletter and weekly newsletters with new creativity ideas, free jewelry making tutorials and techniques and be the first to know about new workshops and classes. At the time, I didn’t have a particularly good earring storage solution for the large quantity of earrings I have. I wrote about a few ideas for earring organization here. 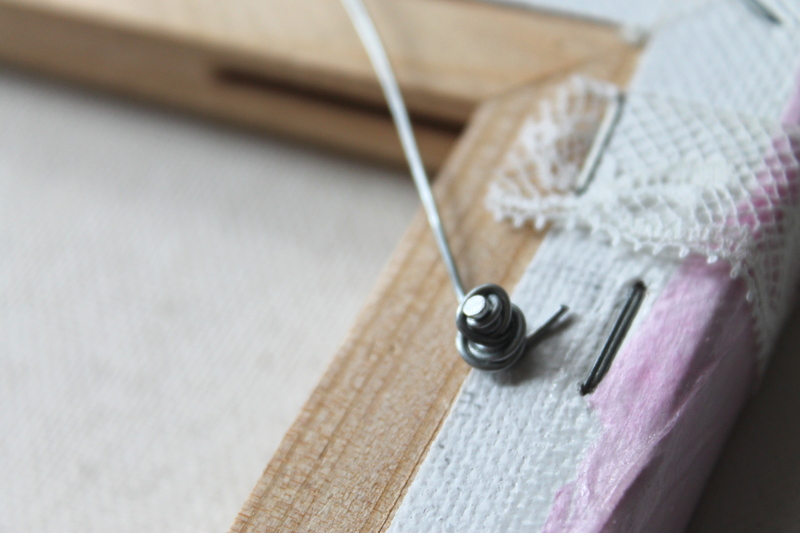 I had made this canvas earring holder, but it was really too small. Then I filled up an earring holder during the Earrings Every Day Month Challenge, but it was sort of frustrating and I didn’t have a great place to put it and it was full, too. 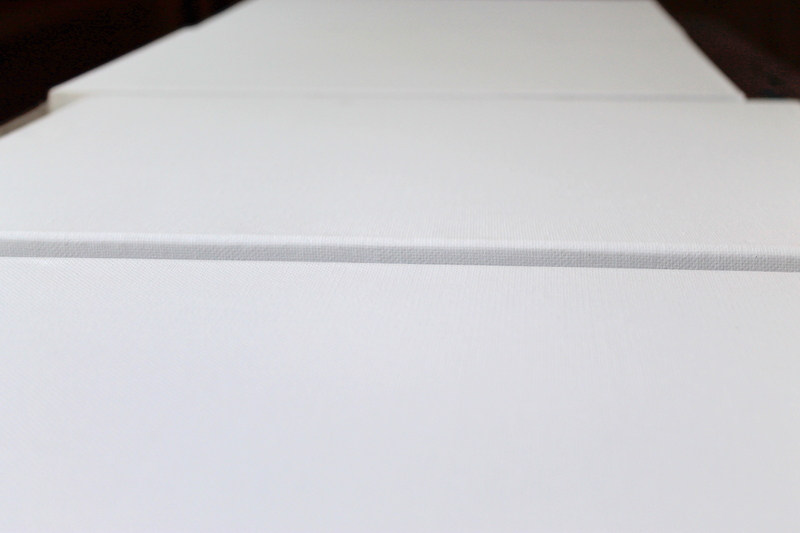 I have more wall space than space to place things on counters, so I returned to my canvas earring holder idea, but this time with not only more canvases (I made 4), but also larger canvases. I love this solution because all my earrings are hanging on display. Not only are they pretty to look at, but when I’m choosing my jewelry I can see all my choices. It also got me to organize them better. I thought I was missing an earring to a pair for a couple of my favorite earrings, but it ended up they were just separated and I had them all along. If storage is an issue for you and you have more wall space than counter space, this may be a good solution for your earrings, too. While I was making these, I shot some photos to do an updated tutorial! You can do this in any way you like really. You could paint it or really even just leave it plain. I used a tissue paper technique, which is the same technique I used in my original Canvas Earring Holder. Don’t forget the sides of the canvas, too. 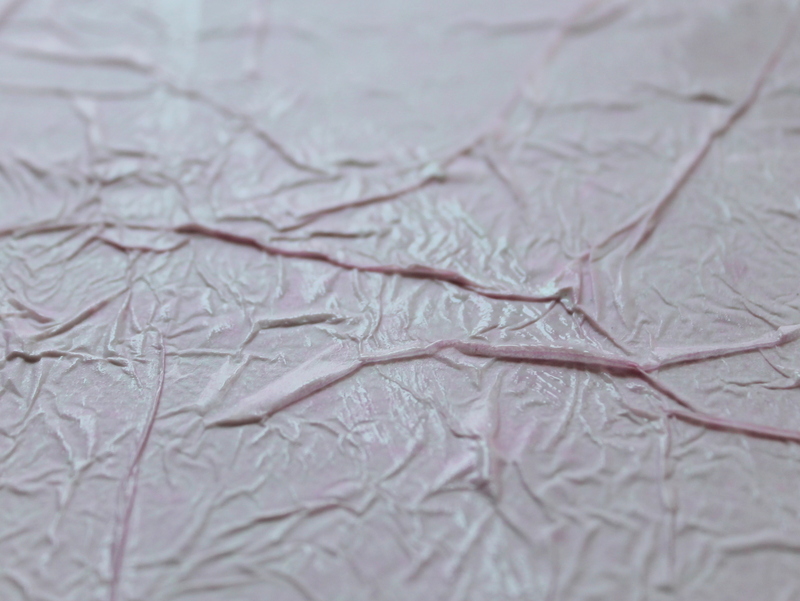 Then I put the tissue paper on the canvas and kind of crinkled it up like above. Do the sides, too. If you rip the tissue paper, you can just add a small piece in to cover the hole. I also went over the top to make sure there were no air bubbles or weird bumps. 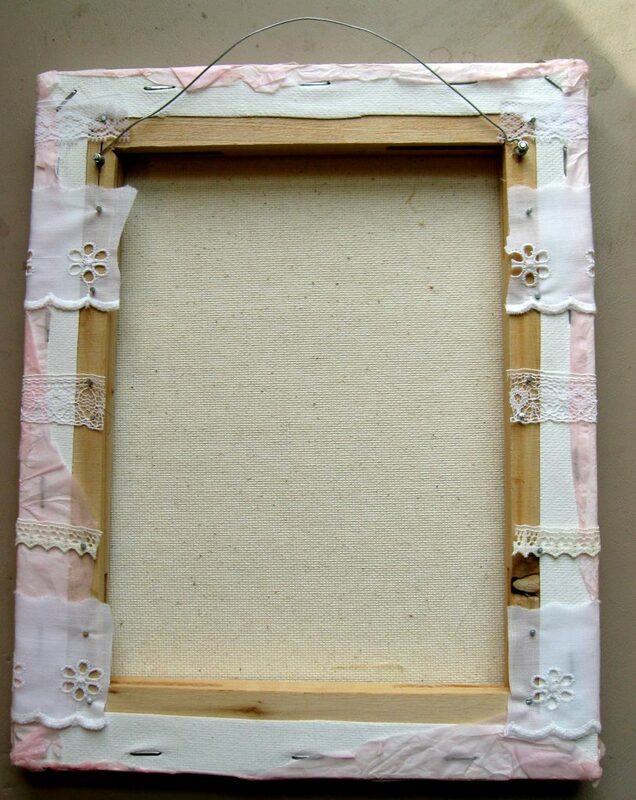 Lay your ribbon or lace across the canvas and cut pieces long enough to go across and around to the back so you can secure them into the wood frame in the back. 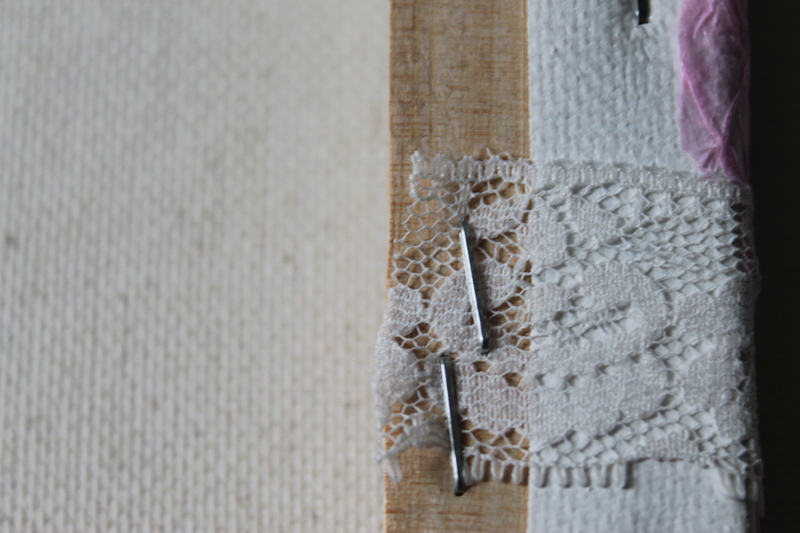 I love using lace for this because you can hook the earrings into the lace anywhere. Ribbon will work, too, but it doesn’t feel as secure to me because you’d be hooking the earrings over the ribbon. 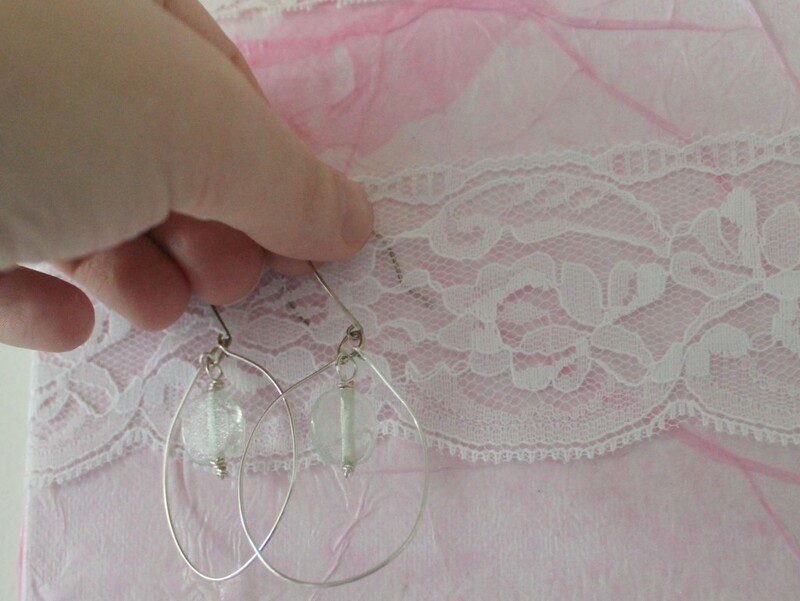 Consider how dangly your earrings are when you decide how close together to place the lace. 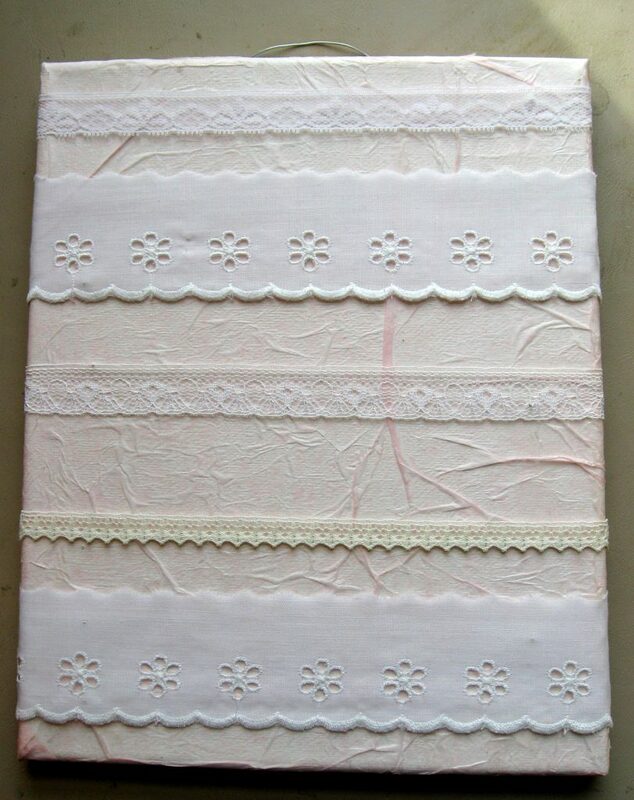 I used 4 to 5 pieces of ribbon on each and I used a variety of different lace. 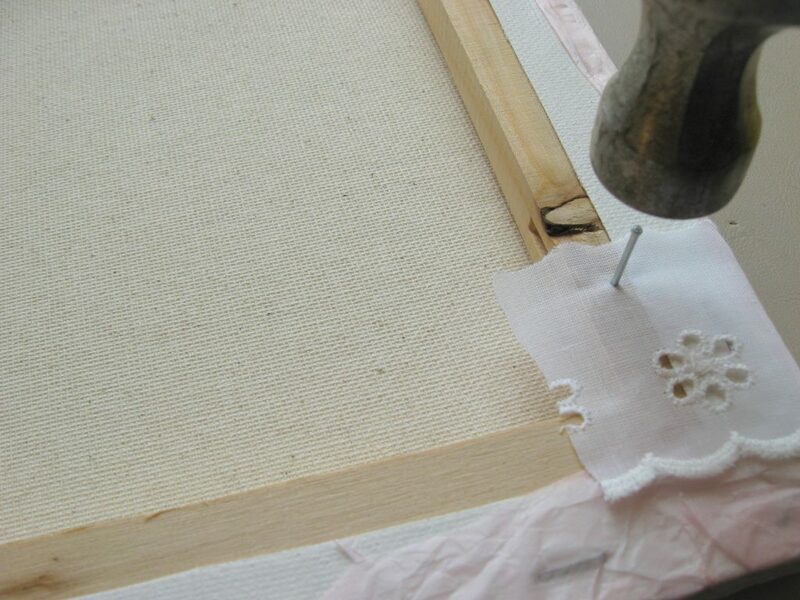 Wrap the lace across the canvas and secure in the back on each side with a staple gun. 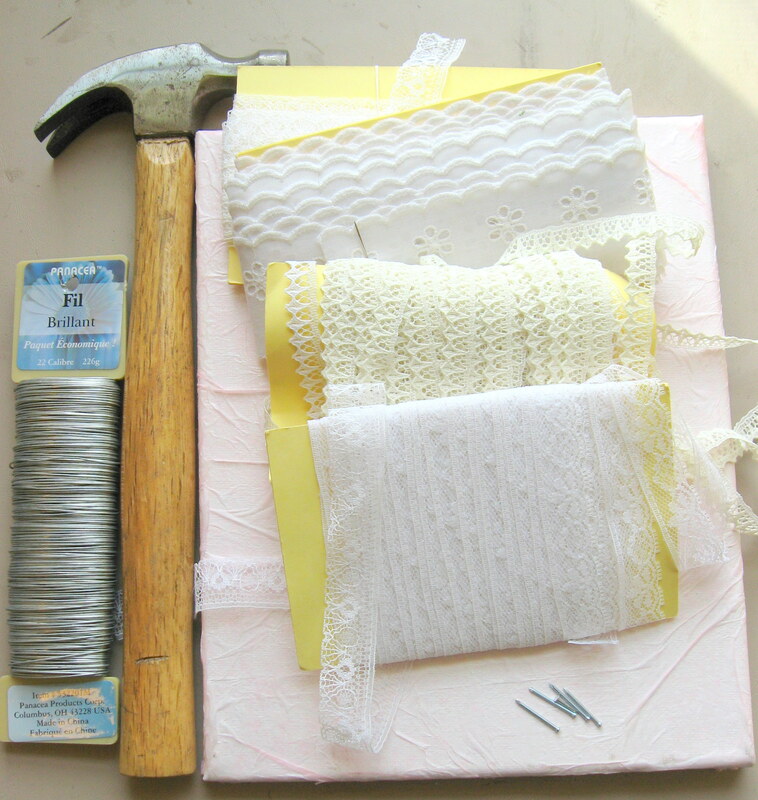 Originally I had used nails to secure the lace and that worked fine, but the staple gun is so much quicker. Add a wire holder for your canvas earring holder. 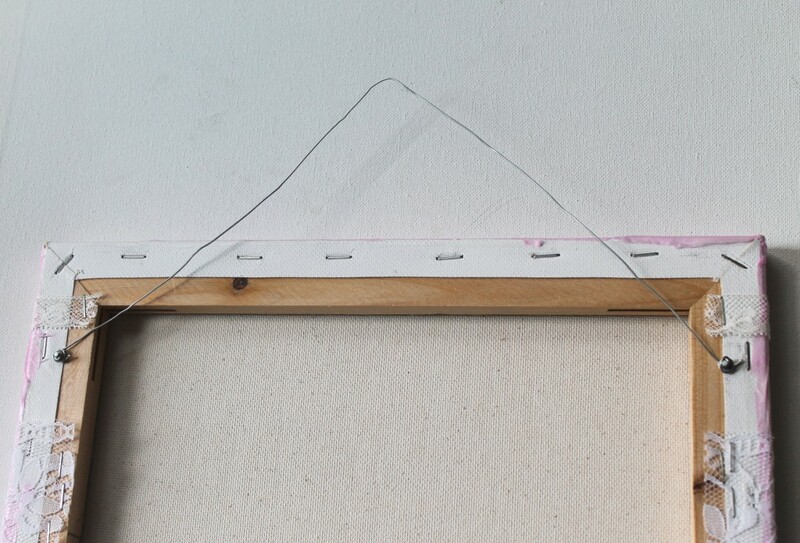 I used a nail on each side and then wrapped wire around each nail to make a hanger. Hang them on your wall and fill up with earrings! I hope you find that helpful! 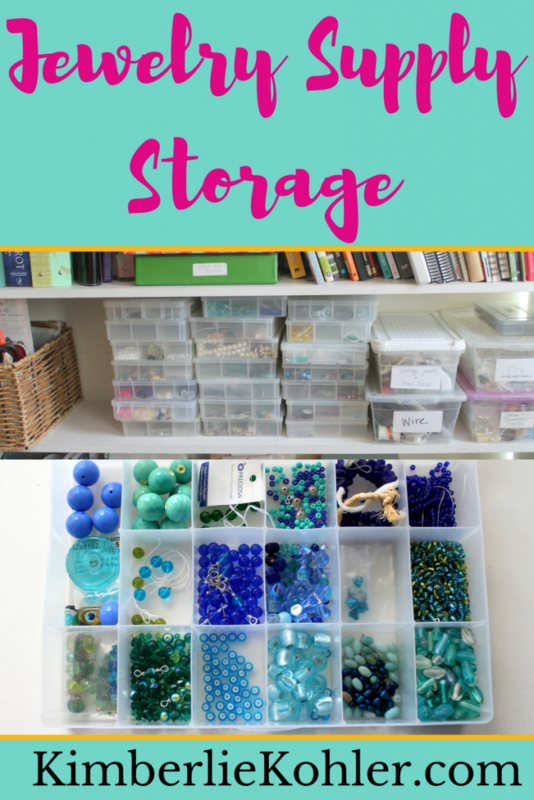 Now, if you need earrings to fill up your storage, I have a fun way to do it! Starting September 1st I’m doing Earrings Every Day Month again this year! Last year it was so much fun and I hope you’ll join us. There are 2 versions: Free and Paid. The free version includes daily emails with inspiration photos and occasional tutorials and links to tutorials on my blog. More information will be available soon, but you can get on the list to be the first to get information here. I hope to see you in September! Since we’ve started Earrings Every Day Month, I know a lot of us are going to have a lot more earrings pretty quickly here! We’re going to need a way to organize them and possibly display them! I got this on sale a Michaels (and had a coupon as well!) It holds a lot of earrings and spins around. This is probably my favorite solution for earrings right now because it holds so many and is so convenient. Since I took this on Day 1 of Earrings Every Day, I just have 1 pair of earrings so far. I made this myself a couple ears ago and while it’s pretty, I’ve completely run out of room on it. 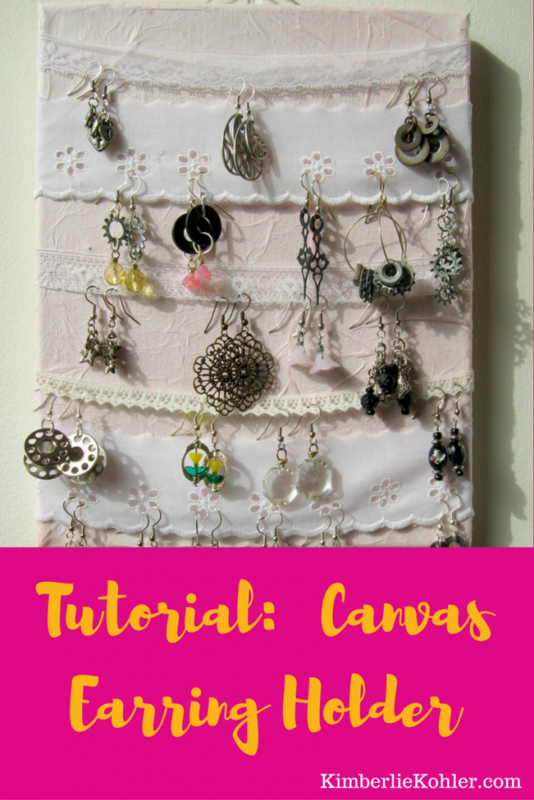 I have a tutorial on how to make your own Canvas Earring Holder. I’m thinking about making a much bigger one, but different than this one. I’m thinking I’ll paint the background and just punch holes through the canvas itself to hang the earrings. I’ll let you know when/if I do that. I got these earring holders for my stand for craft shows and my retail space, but they look pretty on your dresser displaying your favorite pairs of earrings as well! 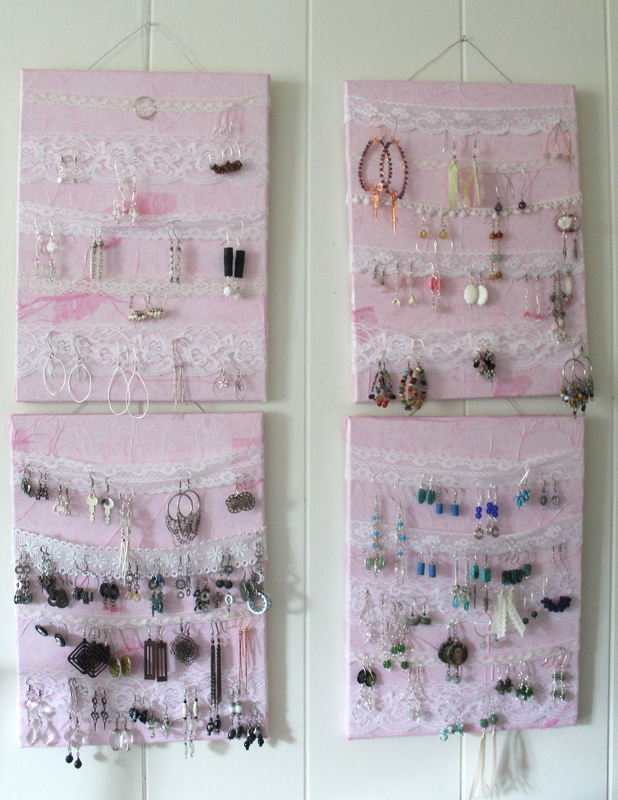 It doesn’t necessarily solve the storage issue, but it’s a great way to display your favorite pairs of earrings when you’re not wearing them. At my craft show booth or retail space I loved the look of earrings hanging on glass jars or teacups. It started when I was taking photos of earrings for my online store and couldn’t quite get them to hang. Then I placed them on a jar like above. On my dresser, I have a jar where earrings hang all around the top and then you can put other jewelry like bracelets in the jar. 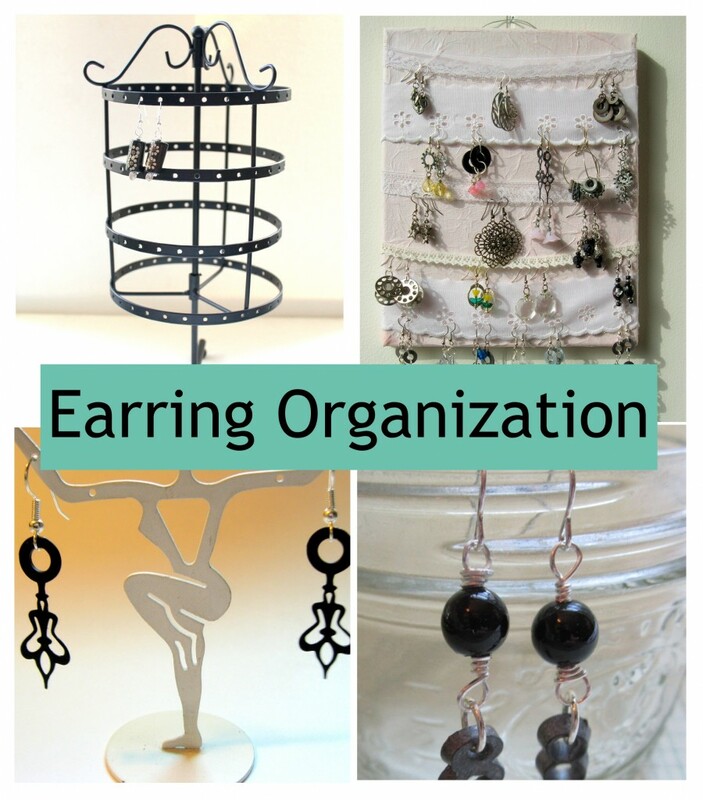 I hope that helps you organize your earrings! Need some to make? I have a couple new earring patterns! 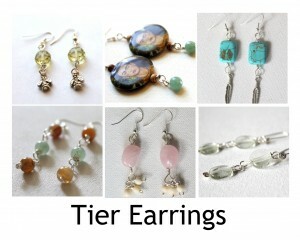 Check out the Tier Earrings Pattern or check out the Bunch Earrings Pattern. You’ll get the tutorial instructions plus lots of inspiration and examples of how to custom your earrings to really make them personalized! Earrings can be a beautiful way to frame your face and bring a little sparkle to any outfit. Even if you’re not going to wear any other jewelry, earrings can really jazz up your look for the day. You can make them relatively quickly and before you know it you have lots of pairs of earrings. How do you keep them all organized and cared for? I know from the annual Earrings Every Day Month (now called Earrings Extravaganza and held each September) I have tons of earrings in different styles, colors and lengths. For a long time they were in drawers in my jewelry armoire and embarrassingly in a mostly jumbled up mess. Anytime I wanted to wear earrings had to dig through and find them and they were never in pairs. And then I made 4 canvas earring holders. I love how my jewelry feels like art. All of my pairs are together and they’re grouped by color and style. It’s really easy for me to find exactly the right pair of earrings. 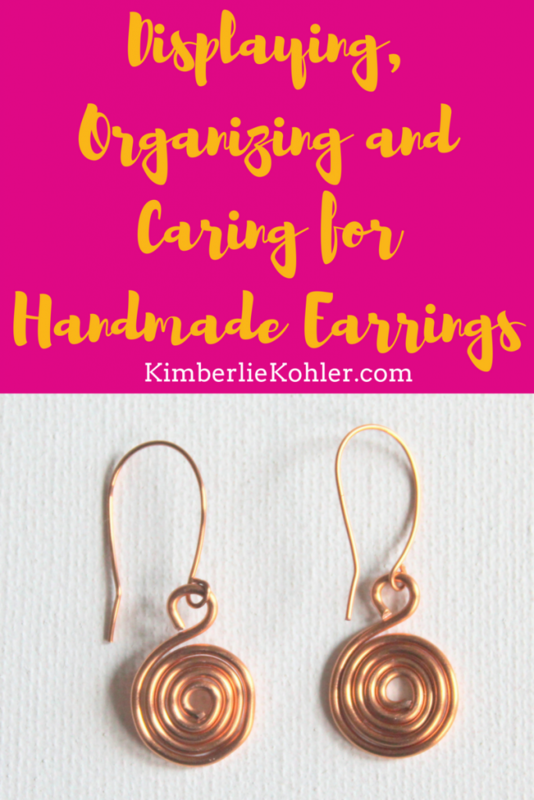 There are all kinds of organizers and tools you can buy to get your earrings organized if you don’t want to make your own. 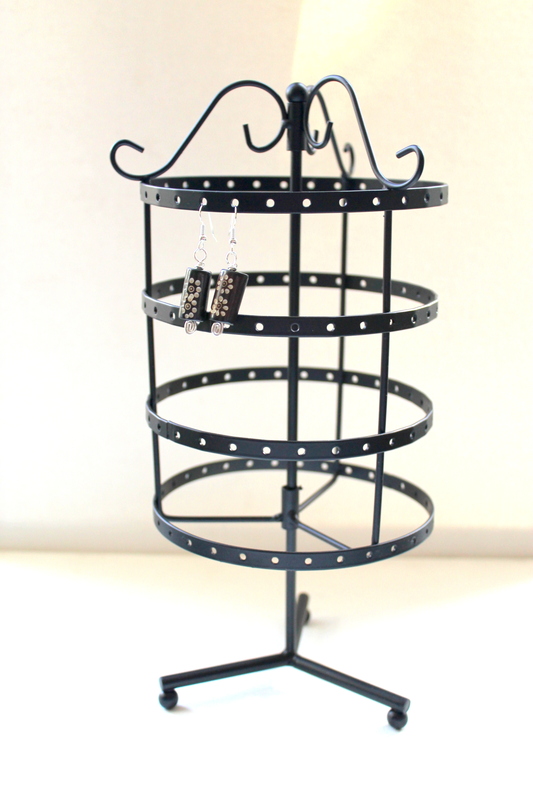 This earring holder is really cute, but it only holds 2 pairs of earrings. You could hang them on a jar or vase on your dresser. If it works for you, could keep them in a drawer. If you put them in individual baggies by pair then you could keep them more organized. Other ideas include: pretty decorative boxes, tea cups or pretty bowls on top of your dresser. 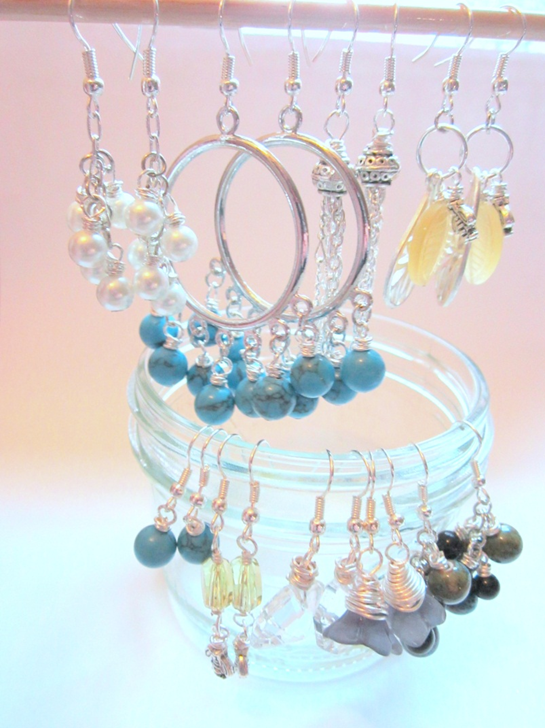 If your earrings are currently a jumbled up mess, you’ll need to organize them first. 1. Dump them out somewhere you can spread them out. 3. Pair up your earrings. 4. Are you missing any? If you don’t have complete pairs, you can take apart the earring you have left to make something else, set it aside to make another earring to match or donate it to Goodwill or another thrift store. 5. Are there any other pairs that you no longer will wear? Again, you can take them apart or donate them. 6. Now place them in whatever storage/display solution you’re going to use. Handmade earrings really are artwork and should be treated as such. I joke about my jumbled up drawer, but that is really no way to treat handmade earrings. They should be carefully place on or in whatever storage or display you’re keeping them in/on. If they start to tarnish, very carefully use a polishing cloth to clean them. If you have some sort of wire wrapped element, be very careful when cleaning the wire wrapped aspect of the earrings. I often use vintage or repurposed items. Submerging them may not be good for every piece. 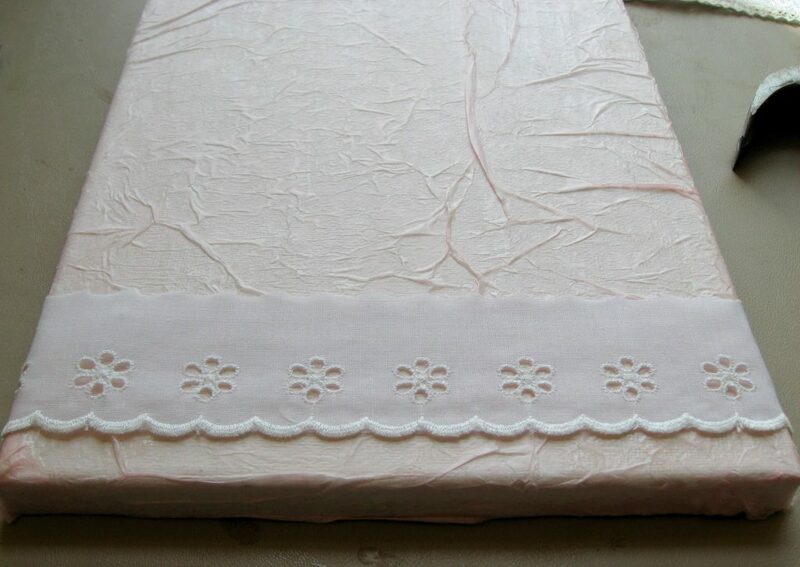 If you use a polishing cloth, you have total control over what is happening. A polishing cloth won’t damage stones and beads. If you use a protective seal of any kind (like I put on my hardware jewelry), a polishing cloth won’t remove the protective seal. Do you have your earrings in a drawer hoping that the 2 earrings of the pair are close enough that you won’t have to spend 15 minutes just looking for a matched set? I did, too. That’s until I came up with a solution that not only cuts down my time looking for a pair of earrings, but also is beautiful and displays my earrings like the little works of art they are. 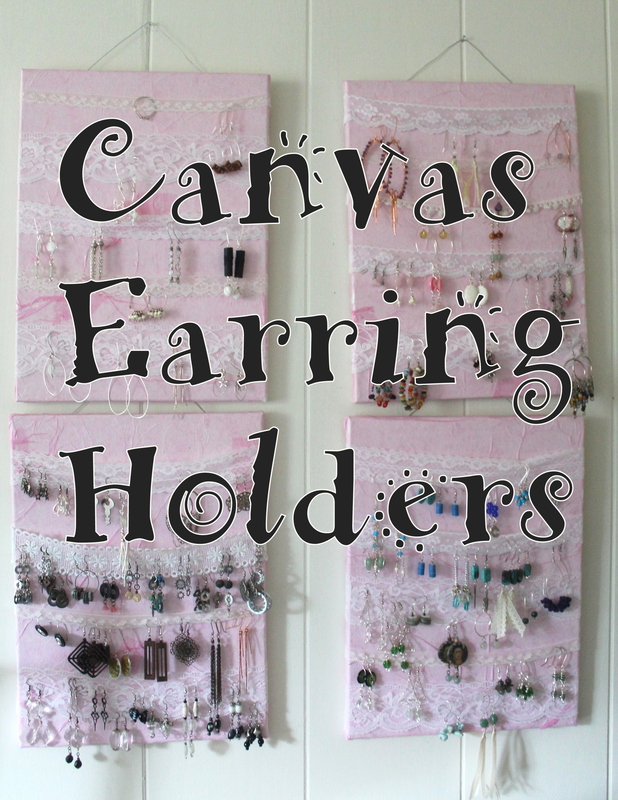 Whatever you do on your canvas will be the background for your earrings when they’re hanging. You could choose to do whatever you like such as painting it. However, I have a unique technique that I really love. 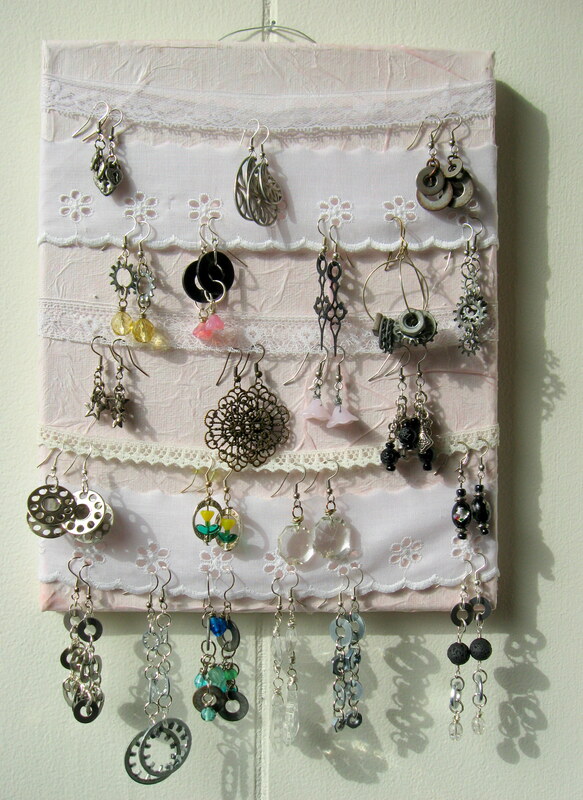 I used an 8″ x 10″ canvas, although I have made these with larger canvases to fit more earrings. 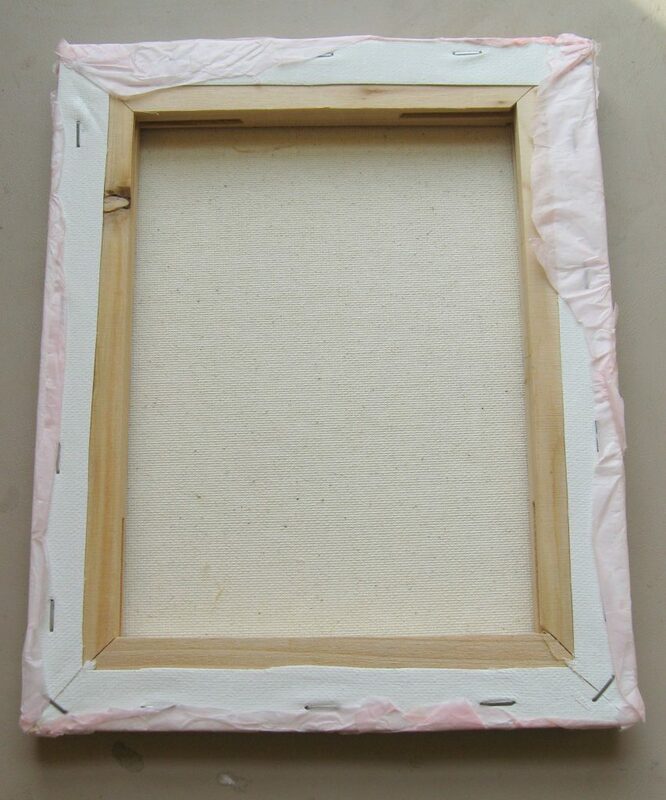 Add a thick layer of Mod Podge to the entire canvas and around the sides. 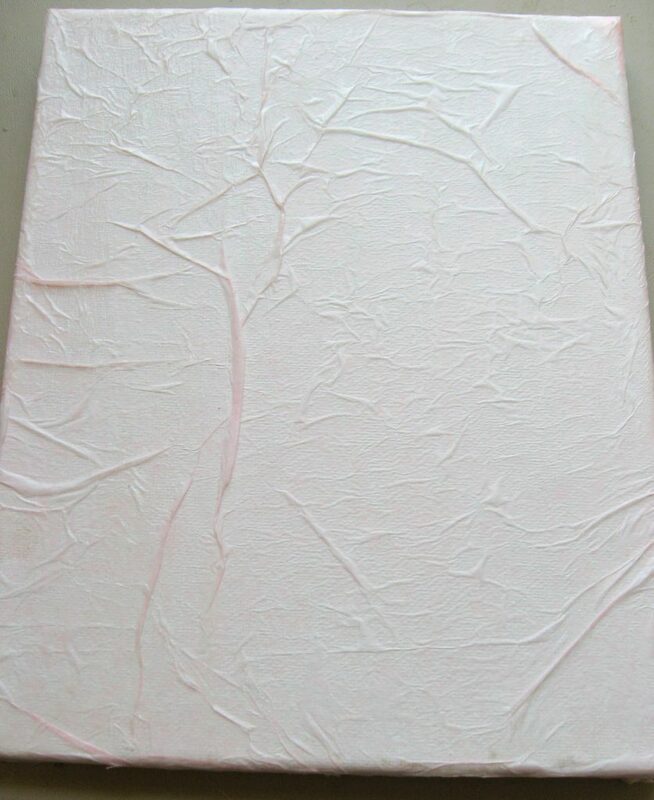 Crinkle a sheet of tissue paper and place is on the canvas, wrinkling it places as you go along. Note: If you happen to rip the tissue paper, just add more. You won’t even notice when it’s done and dry. 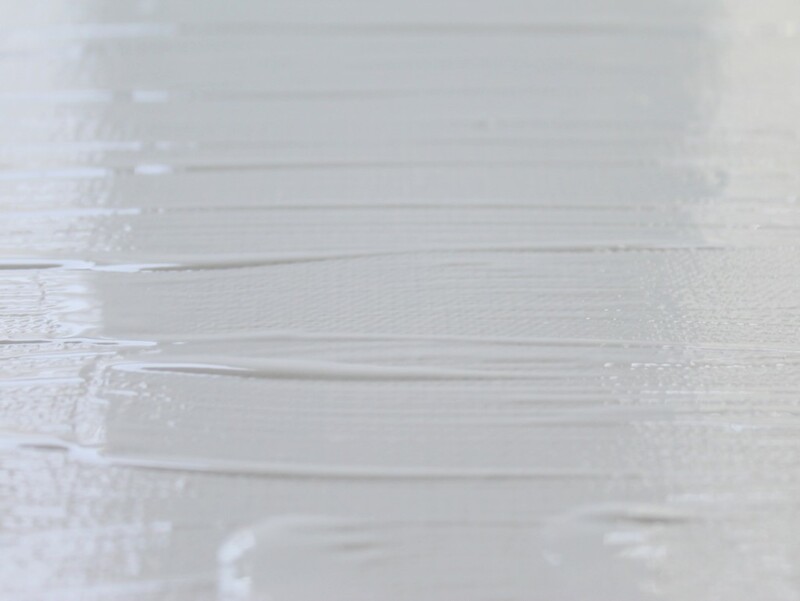 Go all the way around along the canvas edges. Allow it to dry completely. 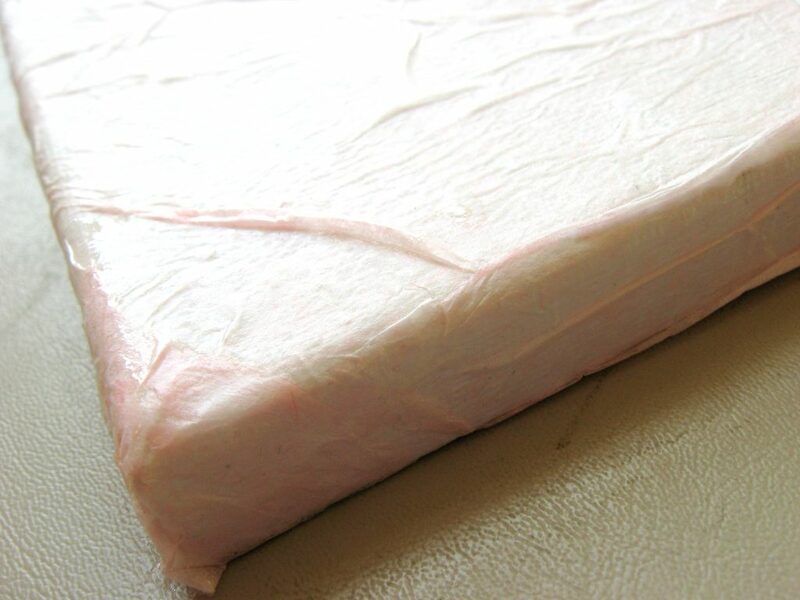 After it’s dry, trim any excess tissue paper. 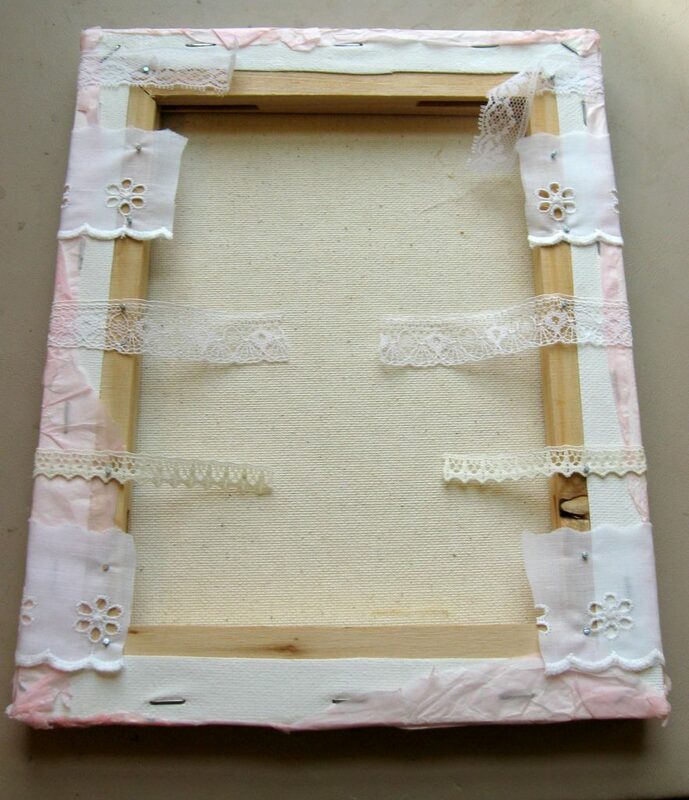 Cut out several pieces of lace or ribbon to fit across the canvas with extra to wrap around the back and be secured. I used a variety of lace, which works really well. 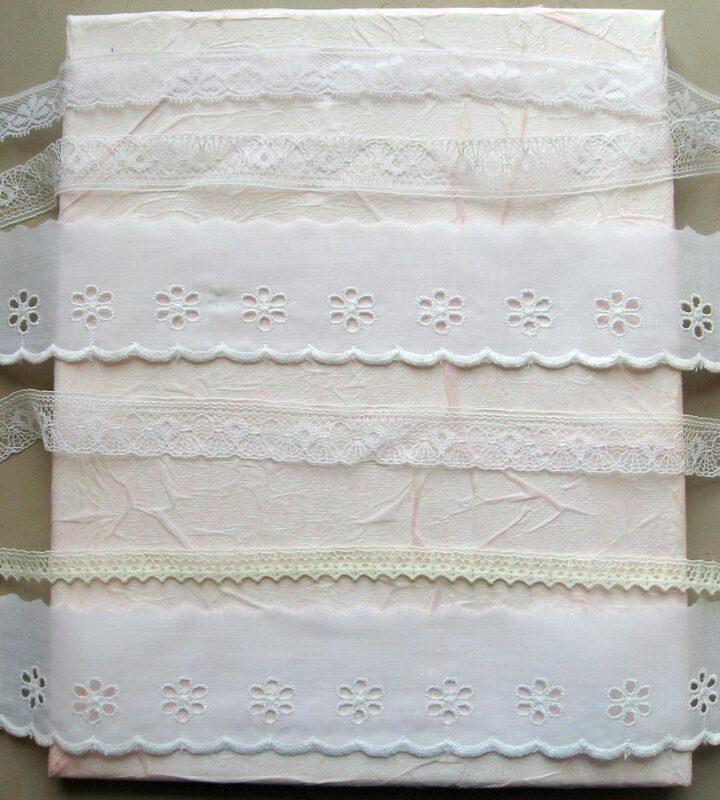 You can use all the same type of lace or use ribbon. We’ll work on one piece of lace/ribbon at a time. Wrap the lace/ribbon across the front and around the side. 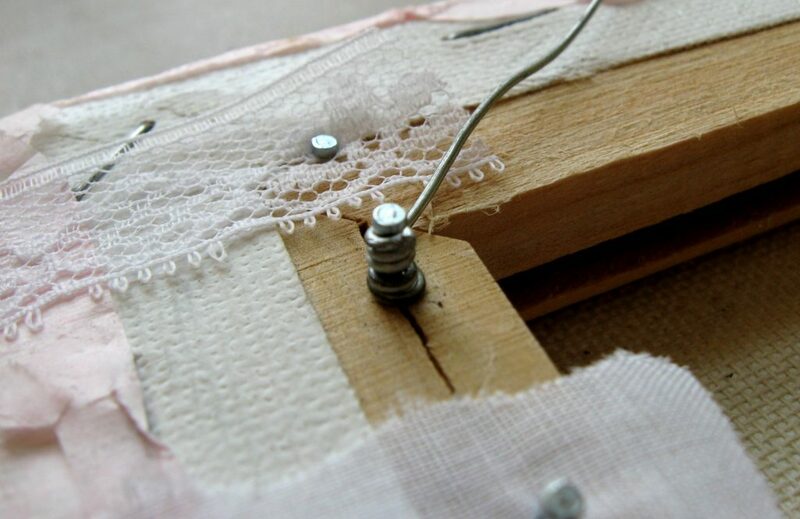 Hammer a small nail through the lace/ribbon into the wood from the canvas. Do this for both sides of the lace/ribbon. Note: Make sure that your nails are not longer than the thickness of the canvas or they’ll poke out the front. Repeat Step #3 for all the lace/ribbon. 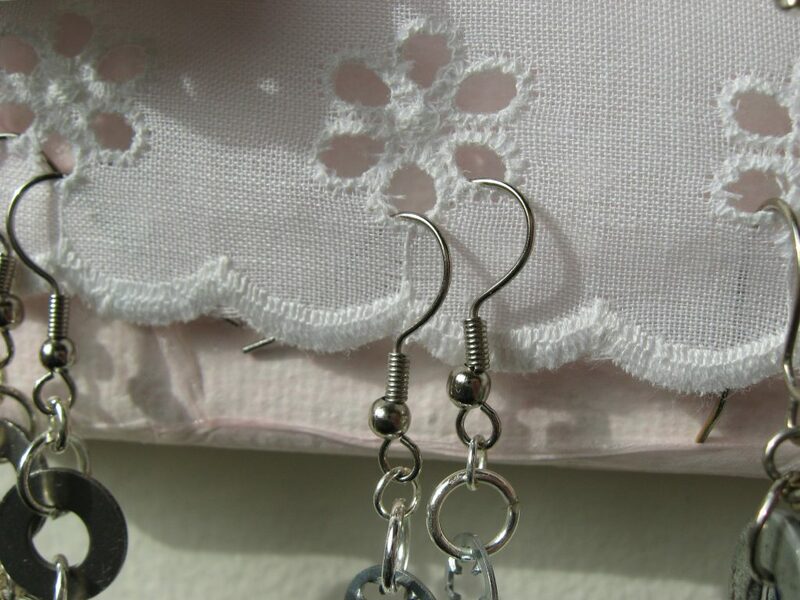 Hint: Consider what kinds of earrings you’ll be hanging when you’re deciding how far apart to place your lace/ribbons. 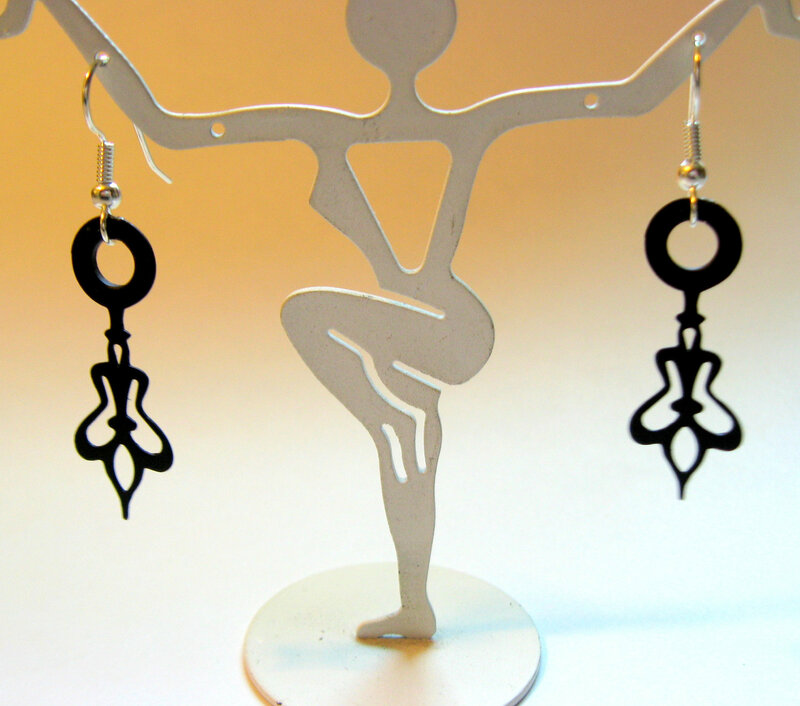 Do you have a lot of dangle earrings that require more room? Cut some floral wire and twist it around the nails on each side to create a hanger. 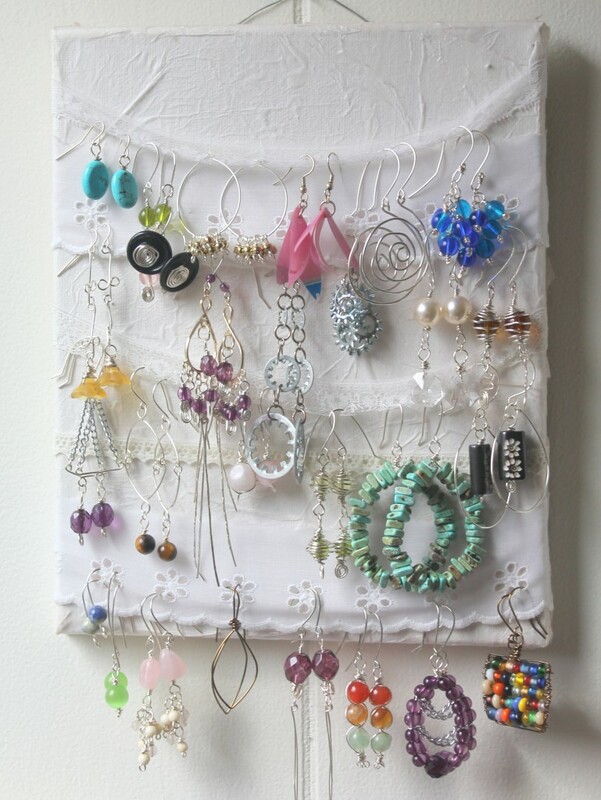 Find a place to hang your earring holder and fill it up! Now, you may need some more earrings to fill up your Canvas Earring Holders! 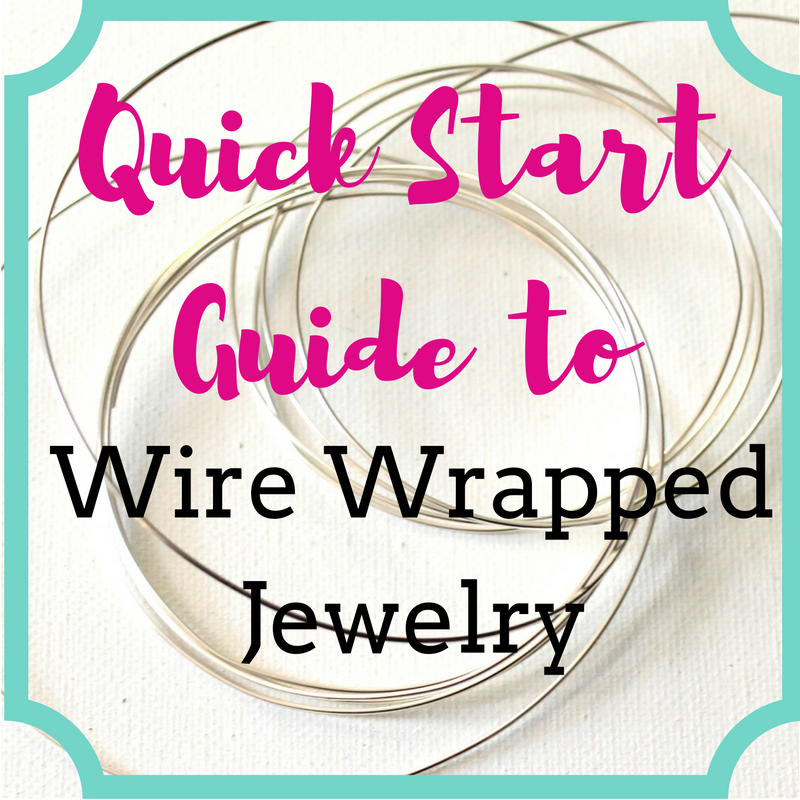 Why not sign up for my 10 Day Quick Start Guide to Wire Wrapped Jewelry? 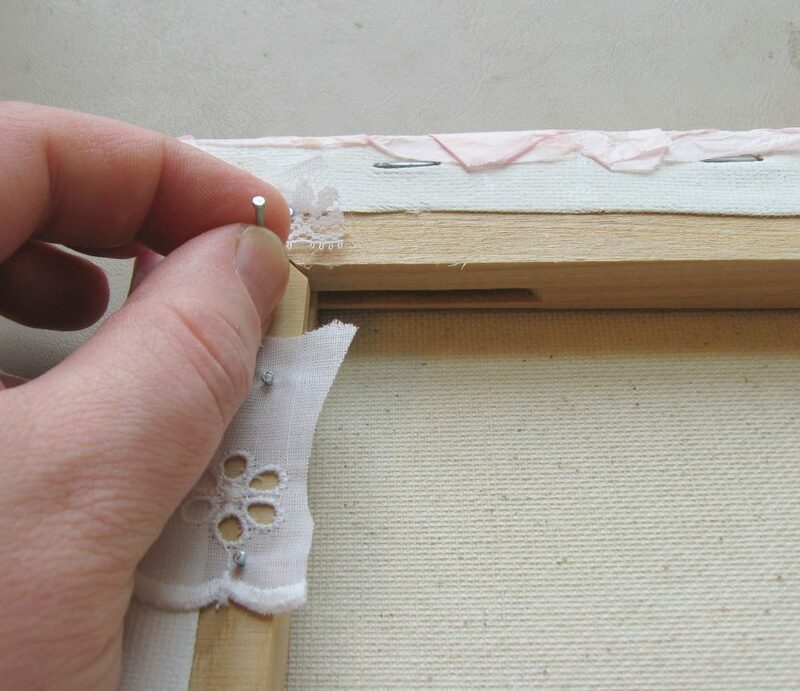 By the end, you’ll make a pair of earrings (and you’ll be able to make many more to fill up your earring holders! 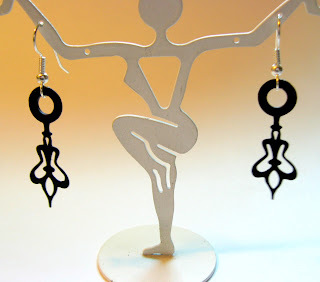 )Plus, I have an Introduction to Making Earrings Guide that I’ll include as well! 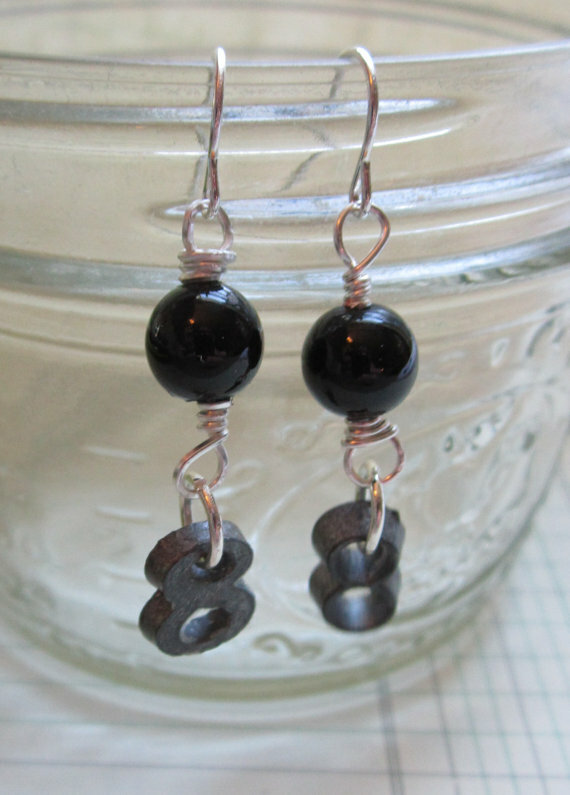 Over 10 days get 10 lessons and make your first wire wrapped jewelry piece. Click the image to get signed up. 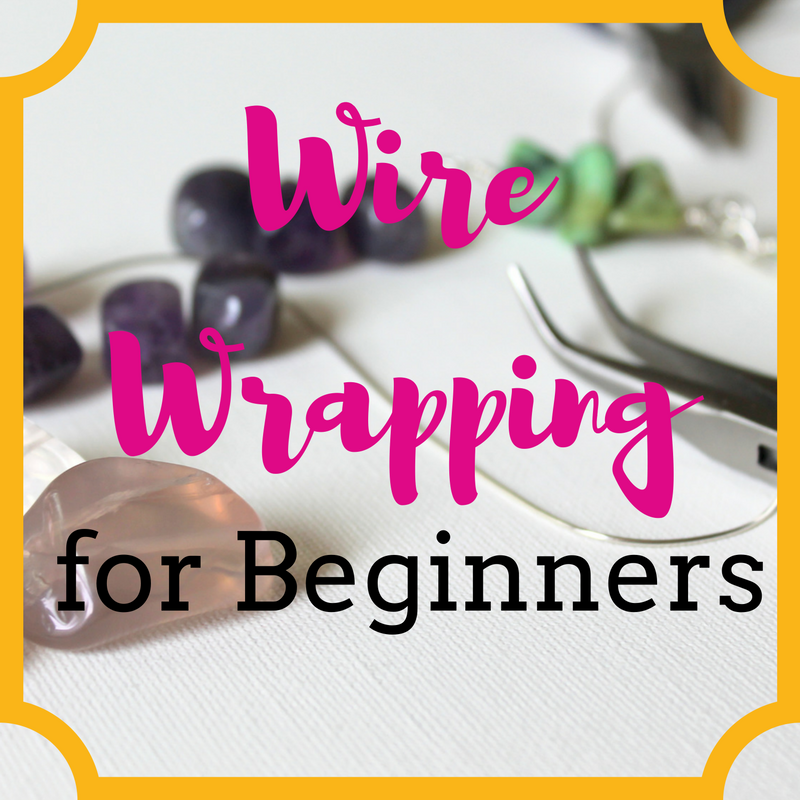 Wire Wrapping for Beginners is a take at your own pace eCourse. You can purchase this eCourse anytime and get started immediately! Learn all the components and techniques you need to make earrings, bracelets, charm bracelets, necklaces and rings! Get blog posts delivered directly to your inbox!